Passengers on a Hawaii-bound United Airlines flight got the scare of a lifetime on Tuesday when a part plane's engine fell apart in midair, leaving metal pieces flapping in the wind. Add United Airlines as an interest to stay up to date on the latest United Airlines news, video, and analysis from ABC News. "I thought we were going to die and hoped that my kids knew that I loved them," one passenger told ABC News after the plane made an emergency landing. "It was horrible. "The flight attendants were really professional, but they were scared. You could tell from their face,” she added. United flight 1175 from San Francisco to Honolulu made an emergency landing on Tuesday afternoon after a “mechanical issue” caused the plane’s engine cover to come apart, the airline said in a statement Tuesday. The plane, a Boeing 777, landed safely and no injuries were reported. 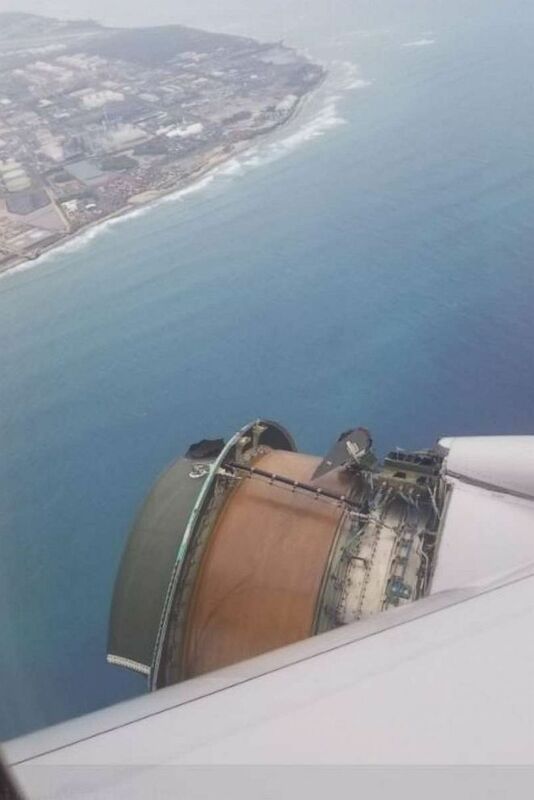 "United flight 1175 traveling to Honolulu from San Francisco landed safely after the pilots called for an emergency landing because of a loss of the engine cowling (the covering of the engine),” the statement said. “Our pilots followed all necessary protocols to safely land the aircraft. The aircraft taxied to the gate and passengers deplaned normally. "The flight landed safely and all passengers deplaned normally at the gate," it added in separate statement. United did not say exactly when cowling came off, but it said there was no debris on the runway or taxiways. Horrified passengers shared images from inside the plane, showing what appeared to be the plane’s bare engine, exposed in midair. One of the passengers said he heard “a big metallic bang” which was followed by about 40 minutes of “shaking” until the plane finally landed. “Today I learned that if the #2 engine explodes on your United flight, it sounds a lot like being inside an unbalanced washing machine,” the passenger wrote in an Instagram post. Another passenger, who shared images from aboard on Twitter, referred to the incident as the “scariest flight of my life,” while another said it felt like “people calmly preparing themselves for death” as the plane braced for the emergency landing. The FAA said it would investigate the cause of the malfunction. ABC News' Erin Dooley contributed to this report.